Can minor masters be too cruel? Let’s take a look at that. For even apparent cruelty, in painting, can be far less, far greater, and far different than it appears. A recent conversation about the small differences between gluttony and gourmandise made me want to find out if painting itself offered some answers. The merchant’s wife, above, lacks for nothing, certainly not for the excess flesh that was then a sign of class, wealth and health. Is there satire in his depiction of the merchant’s wife? Sleek as an otter, idle as a carp in a Medici pond, she is surely being sent up by the artist, we might think. But click the image to enlarge it, and look at her face. She appears intelligent and discerning, as if she were truly tasting her tea. 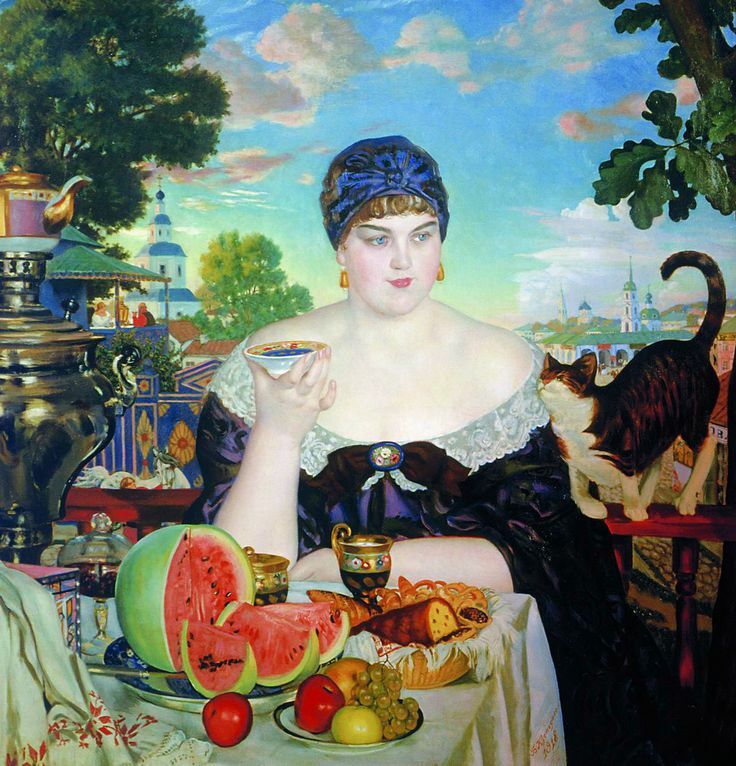 She is one of many such women in his body of work, living the good life among radiant colors and exquisite foods. Maxim Gorky had a great fondness for this type of work by Kustodiev, and Ilya Repin, a Tolstoyan figure among Russian painters, was his early mentor. Russians who love his work and know his life story, which ended in years of illness and disability, sense only a mood of radiant optimism in his themes and their treatment. Ludwig Knaus was one of the best loved, best paid, busiest, and finally, most decorated artists in 19th century Germany. As a portrait artist, he was spoken of in the same breath as Lenbach and Winterhalter. As a genre painter, all Europe knew him through engravings of his rural scenes. He died famous, in 1910. In our own era, he’s a case study of an artist whose message need not be heard. The glutton, above, has a nicer title in German — Die Naschkatze, or, The Sweet Tooth. 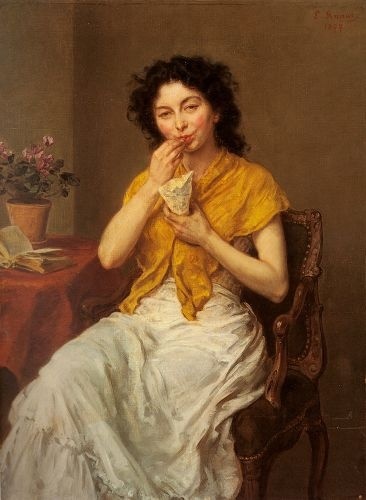 The very slender brunette of middle years is caught out enjoying a sweet from a paper cone, and not very decorously. One leg is thrown over the other, her mouth is full, and she’s in a condition of undress. Does the painter mean us to find this charming? The woman is pretty, and she’s enjoying herself, after all. But, we like her better than he does — don’t you think? In 1878, Knaus participated in an important Paris expo with a painting with an unambiguously anti-Semitic theme, not his first. This is another. It’s in a private collection. I wish I knew whose. Suddenly, in this image of a perhaps hungry woman greedily sneaking sweets, there is cruelty too deep, lasting and harmful for words. Elatia Harris is a writer and consulting editor in Cambridge, Mass. 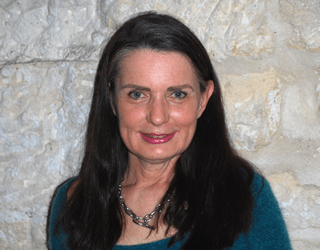 She is most often at work on books and articles about food, wine, and travel. Contact her at elatiaharrisATgmailDOTcom or via text at 617-599-7159.